Penny Young of social research institute NatCen says trust in UK plc is plummeting - but good research can identify why. This year is the 30th birthday of our flagship piece of research: the British Social Attitudes report. 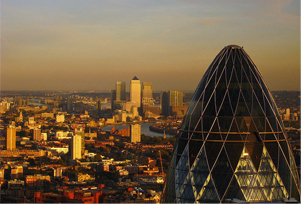 For the City – and, therefore, UK business – the most striking statistic the report contains this year is the scale of the collapse of trust in the banking sector. In 1987 – despite it being the era of the yuppie and resentment against financial excess – banks had an excellent reputation, with 91% of people believing they were well run. Bankers are now bottom of the league – below trade unions and journalists – with only 19% of people thinking they are well run. That staggering reversal of confidence shows just how much of a challenge the financial sector has in restoring its once pre-eminent position. But a closer look at the research shows banks are not alone in suffering significant declines in reputation. There is a growing sense of what we are calling institutional atheism: a lack of belief in the ability of many institutions to change things for the better. Fewer than one in five (18%) of the population trust government to place the needs of the nation above that of their own political party 'just about always' or 'most of the time' – down from almost half (47%) at its peak just after the 1987 general election. Business cannot be immune from this growing institutional atheism. Our research might suggest some of this is inevitable as people become more and more individual, with less and less of a sense of collective identity. Certainly people now identify themselves less with religious or political identities. But, interestingly, the same is not true of class. Just 5% refuse to choose a class identity, even after prompting; and compared with 1983 roughly the same proportion of people describe themselves as middle-class (35% now and 34% in 1983). This growing aversion to institutions is just one of many trends that we have identified over the years that deliver valuable insights to businesses. How, say, does the banking system react to this development? Or how do supermarkets adapt to a public that is more individualistic? It is, of course, not just business that can benefit from detailed and sustained research. NatCen’s research – both for British Social Attitudes and other projects – has been guiding and improving government policy over many years, in sometimes quite surprising ways. For example, our work with convicted online groomers gave us insights into how offenders use the internet to approach children. This research has been cited in both Belgium and Italy as those countries introduce laws to criminalise online grooming. In the UK our work on the complex issues surrounding poverty is helping councils and charities better address issues that can keep a person in poverty – which are not just financial deprivation, but also other problems like skills, childcare, housing and health. Genuine insights into how people’s attitudes are changing and evolving are crucial for a business to adapt for both its staff and its customers. Given the scale of the reputational challenge that certainly the financial sector has to meet, such understanding cannot come too soon.